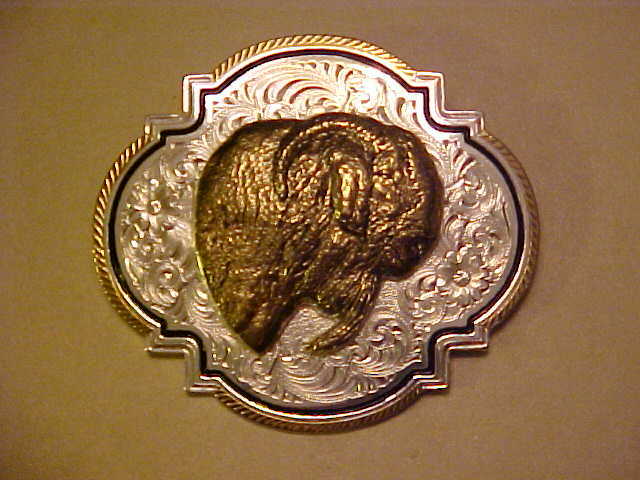 Silver Boer Goat Belt Buckles and Other Fine Jewelry by Montana Silversmith. Order through Antelope Creek Ranch, Fred Homeyer! At Last! 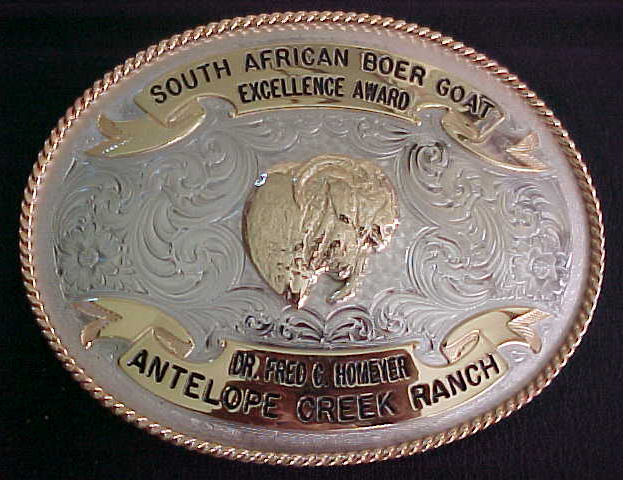 A Trophy Belt Buckle Featuring a Boer Goat! 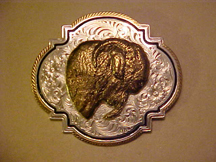 Custom belt buckles & other Boer Goat jewelry by Montana Silversmith. Personalized with your name and ranch! To order by phone, call Fred at 325-453-2863. 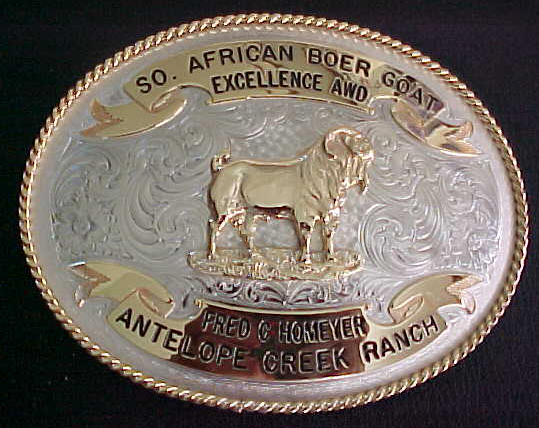 For more information on Boer Goat belt buckles or other items, email ancreek@yahoo.com. Some items also available in gold. The buckles are approx. 4” tall. $150 includes S/H, and custom lettering. You can specify up to 20 letters on each of the four lines, two lines in the top ribbon, two lines in the bottom ribbon. 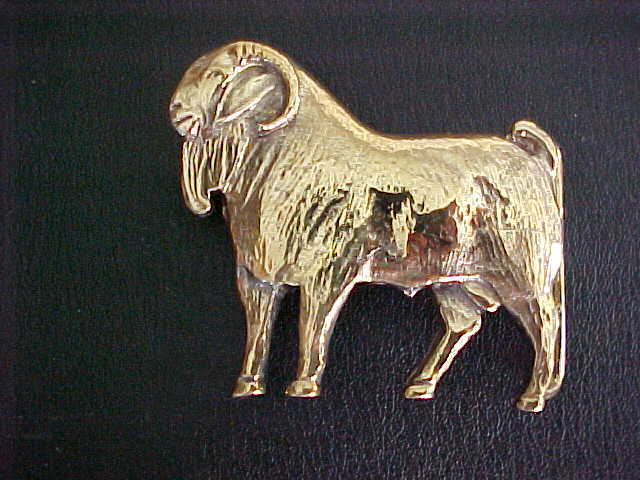 Goat jewelry -- gold, silver, bronze. 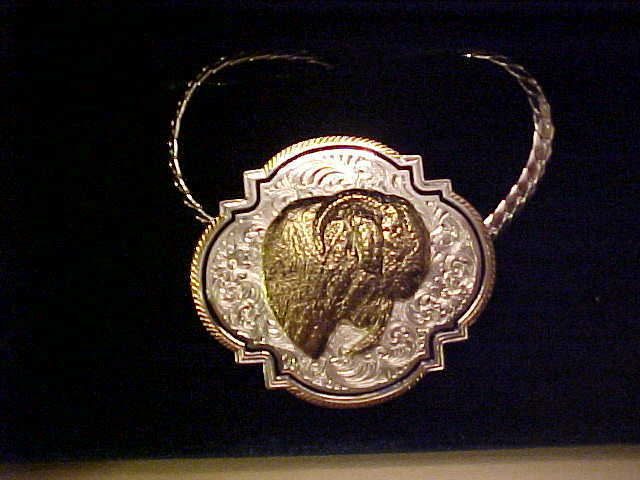 Montana Silversmith. These items would make the perfect gift for the goat rancher in your life. Is your goat farm routine boring? 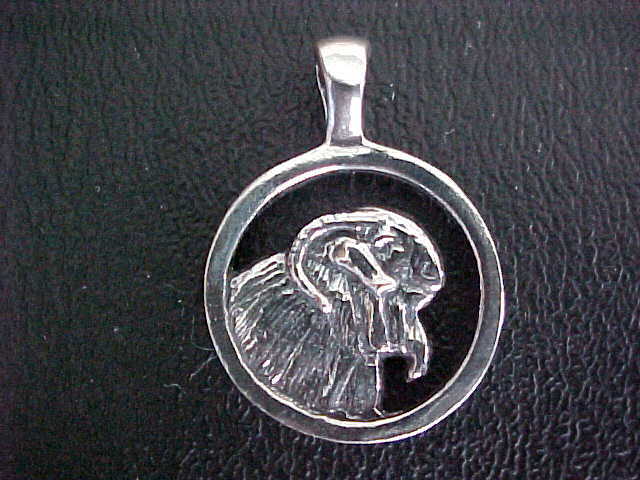 Spice it up up with a silver Boer goat belt buckle or pendant. Is your favorite goat lady needing a surprise? Give her a silver boer goat necklace. Want to remind your office coworkers that you are the goat king? Add a silver Boer goat to your desk accessories. Need to add a little bling? 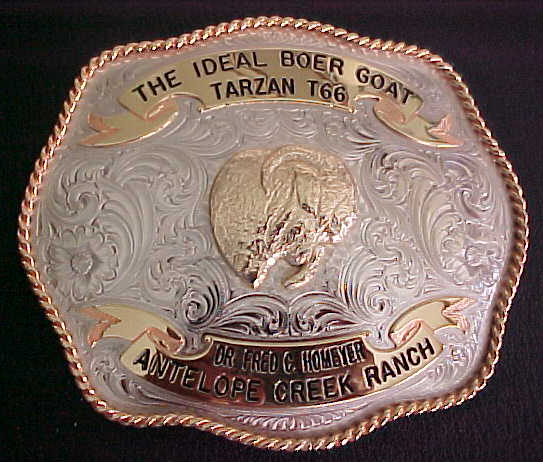 Flash a silver or gold Boer goat ring or a custom belt buckle! 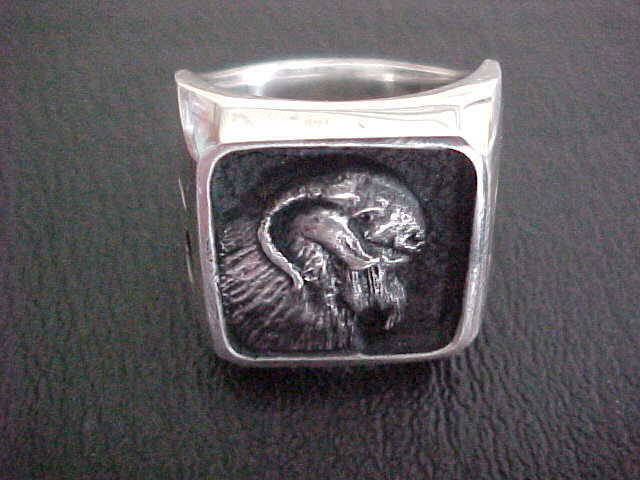 Goat jewelry -- gold, silver, bronze. 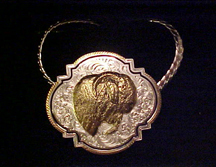 Montana Silversmith. These items would make the perfect gift for the goat rancher in your life. Is your goat farm routine boring? 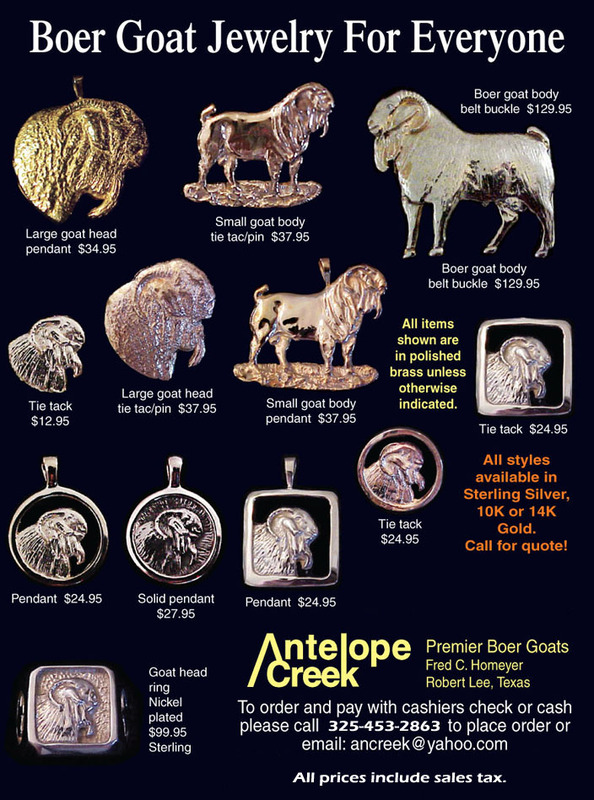 Spice it up up with a silver Boer goat belt buckle or pendant. Is your favorite goat lady needing a surprise? Give her a silver boer goat necklace. Want to remind your office coworkers that you are the goat king? Add a silver Boer goat letter opener to your desk accessories. Need to add a little bling? 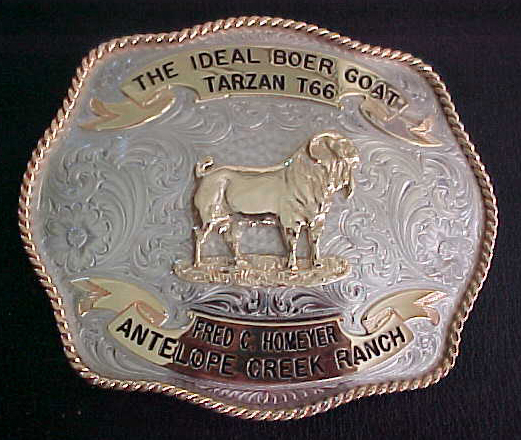 Flash a silver or gold Boer goat ring or a custom belt buckle!